GRENADA, Caribbean Islands, September 14, 2017 (Newswire.com) – ​The Levera Nature & Beach Resort boasts sweeping views of the Eastern Caribbean Sea and southern Grenadine Islands, along a spectacular golden sand beach fringed by palm trees and dramatic tropical surroundings. Fourteen seaside cottages are currently under construction, as well as the Beach Club and the Turtle Beach Hotel. The development encompasses close to 400 acres nestled against Levera National Park. Resort activities will also spread across the blue sea with two private offshore islands — Sugarloaf Island and Sandy Island — accessible by boat, granting visitors a divinely classical island experience whether snorkeling, fishing, hiking, biking, or exploring the vast unspoiled acreage. A hike up Levera Peak, reaching almost 900ft above the ocean, is well worth the effort as you are rewarded with breathtaking, panoramic views of the surrounding islands. Enjoy a bike ride to the local village of River Salle, where you will be greeted by people as warm and sunny as the weather. Try one of the culinary specialities made from locally sourced ingredients such as a Roti, a scrumptious curry burrito, or a traditional Oil Down stew. “Many times tropical destinations focus only on the beach. At Levera, we have a unique pristine environment, and when you spend time here, you realise that the beauty isn’t just at the beach. It’s in the people, and it’s in nature,” said General Manager Randall Oveson. Levera National Park is celebrated as Grenada’s most scenic and spectacular coastal area. Its picturesque beach and lagoon are one of the most important wildlife habitats in Granada providing shelter to over 150 species of birds such as herons, black-necked stilts, common snipes, and other waterfowl which populate the extensive mangrove swamp. Offshore, the park’s features include rich coral reefs and sea grass beds that shelter lobsters and vibrant tropical fish. The 700m long Levera Beach is world-famous as the primary nesting beach for leatherback turtles. Some of the innovative ecologically-sound construction elements of Levera Nature & Beach Resort include using locally sourced materials and recycled wood to limit any effect on the environment. Living green roofs, walls of flowers and ivy enhance the buildings and mirror the natural verdancy of Levera National Park, making them an extension of the park itself. Because conventional bright lights confuse nesting leatherback sea turtles along the beach, solar-powered red lighting is used, which is less intrusive. Bioclimatic design, passive solar systems, and low-energy lighting incorporated into all buildings maximises air flow and reduces ecological footprint. All construction is off the shoreline, well beyond the first dunes and behind the palm tree line, leaving it in its most natural state. Levera’s mission is to create a resort that will provide adventure, beauty, and sheer relaxation to its guests while at the same time preserving the indigenous environment as it has always been. 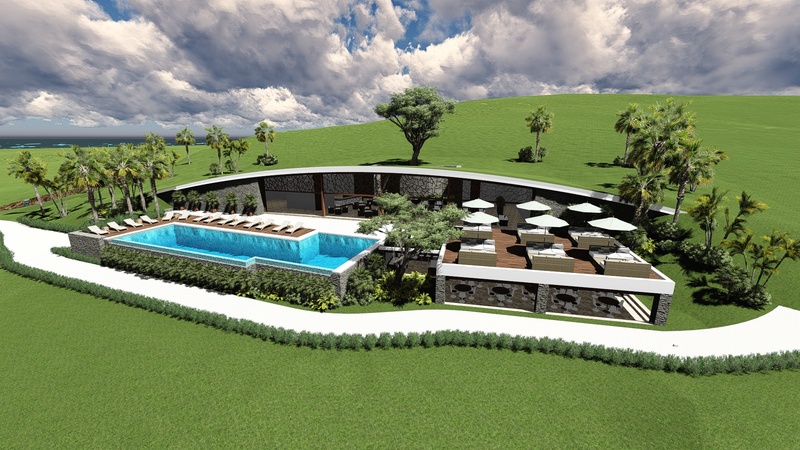 Levera Nature & Beach Resort is an approved project to qualify for the Grenada Citizenship Investment Programme, which allows investors who contribute to the economic growth of the country to enjoy visa-free travel to over 120-plus countries while obtaining a second citizenship. An investment of US$350k+ will qualify the investor and family for the citizenship programme. To see pictures of the construction phases, follow the progress of the buildings, and to see the final plans, visit LeveraGrenada.com.